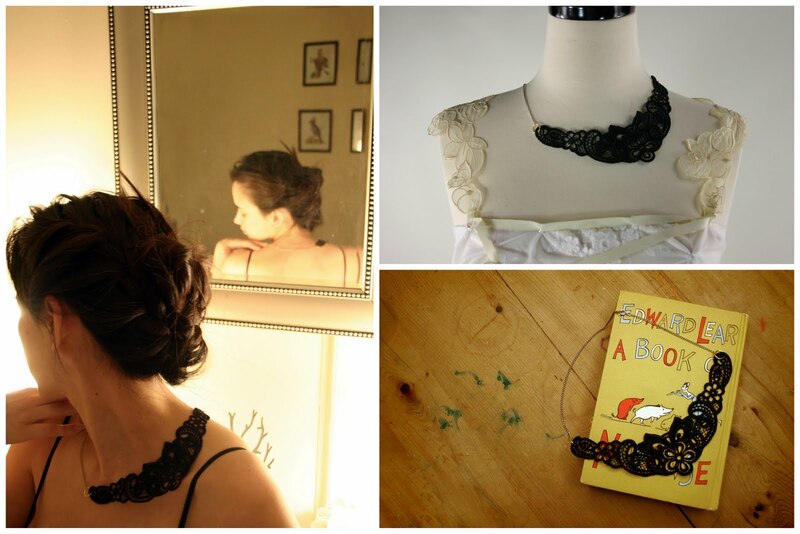 Grosgrain: Askewed Vintage Lace Necklace Tutorial and Grosgrain Giveaway! CLOSED. Askewed Vintage Lace Necklace Tutorial and Grosgrain Giveaway! CLOSED. These necklaces are ALL THE RAGE! 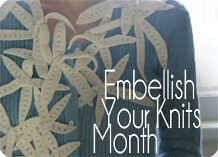 I've seen them all over etsy and fellow bloggers who ooh and ahh over their delicate quality. Surprisingly they are REALLY simple to make. Mine took only about 10 minutes. Vintage Lace piece. Bought here or at a local fabric store. 1. Take your chain and measure down 3.5”. Break at that point by pulling the chain at both sides. I recommend going to Michaels for your chain. They have a lot more options. I think a nice vintage looking chain like these would work better. 2. Using fingers pry apart an opening in one of the rings and connect it to the chain. 3. Slip one end of the lace onto the ring as well. Close the opening back up with your fingers or pliers. 4. Take other side of chain that you just broke and measure down 7”. Break at that point and discard the smaller piece. 5. Attach chain and lace to the ring the same way you did in step 2 and 3. If you wanted to get even fancier like this gorgeous piece: attach ring to lace after step 4 but add two 1” chains to the one ring that connect to another smaller piece of vintage lace then start from step 5 and finish. And anyone who leaves a comment in this post will have a chance to win the one pictured in this post. That's gorgeous! I haven't seen any of these before. I also really like the one you linked to with the two pieces of lace. I'll have to try making one someday. Very pretty! 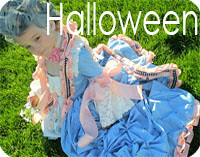 I'm totally hitting the flea market this weekend to look for some antique laces! Pretty necklace! Nice and simple. Very pretty! I love all the statement necklaces that are so trendy now, but I don't think I could be brave enough to wear one! This one is subtle enough I think I might be able to pull it off! That is so cool! Just lovely! Beautiful necklace! Thanks for the tutorial! Neat! I'm still wishing I could fit into that lovely top too. Love the lace shoulders with the necklace. It looks so complicated... but it's not. Really beautiful! so beautiful, i can't wait to make one! great tutorial. Thanks for the info. Yours is lovely. I love it. This would make a beautiful mother's day gift. I may try this but winning will be much easier!! haha! so pretty! just gorgeous and so clever....i'm off to see if i have any good lace pieces in my stash! Simple but beautiful! Love it! This necklace is beautiful~! You make it seem so easy to make! Oooh, I would love to win this! It looks so simple and elegant. elegant. I had no idea it was so easy to make. Still I'd rather win! This is so delicate and gorgeous! lov eit! this is GORGEOUS. I love the black lace. Thank you for sharing the idea and tutorial!! This is so sweet and elegant! I love black - too tres tres!!! What a gorgeous necklace! I just picked up some vintage lace at a flea market this week-end with no idea in particular...now I know what I'm going to make:) Thanks for the inspirational tutorial! What a beautiful and simple idea! I have not seen these before but they are pretty. 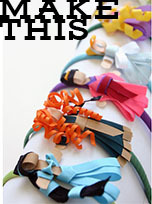 Wow, these are so pretty, and simple to make! Thanks! I'm in a wedding this summer and this would be perfect! How lovely and feminine! I can't wait to try my hand at this. i would love to win! such a nice idea! So cute, I love it!!! So elegant and just too easy to not make one! That necklace is gorgeous! Thanks for sharing! I love it! You have such great taste! I don't often wera necklaces cause my 8 month old likes to pull them apart, but the older she gets the more I look forward to wearing some of these kind of goodies! So pretty! Thanks for the tutorial. I love this necklace so much! I would love to win the one pictured in the post! Great tutorial. Also a nice way to add some vintage flair to an outfit. I love this! It is so elegant! Such a different way to wear jewelry! Lovely necklace. Thanks so much for the tutorial. 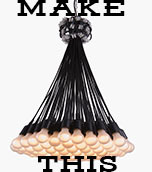 That is such a cute necklace and super easy! i have been seeing these all around blog world too! and you make it look soo easy to make!! i haven't really seen premade lace as pretty as this at local fabric stores but maybe i will have to hunt more, or just get some from the etsy shop u listed!! But I am really crossing my fingers that I win this one! so pretty and so simple! Thanks for the tutorial! i love how simple that is... wonderful. Very cute and simple! 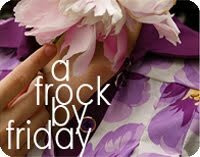 I just found your blog yesterday and I love it! I'm so inspired, thank you! Yes, an elegant piece and as you say so simple to do! 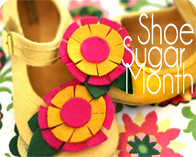 THanks for keeping us up to date on the latest trends and how to make them ourselves! That is a beautiful piece! So elegant looking! Beautiful! I've got to try that! Thanks for sharing! Can't wait to make one for myself! Would love to sin - I adore these necklaces. Thank you for the tutorial as well. this is so wonderful and simple! I am going to have to make one for myself! So pretty! It'd be nice to try it but even better to win it! My link is up! beautiful! I think I have to try this! I have seen those and it sounds so simple! I love projects like that! What an amazing idea! I love it! Oh, I would love to win this necklace! So pretty! You have no idea how much I've wanted to own a lace necklace! I would make one, but even in thrifting goldmines, good lace is so hard to come by! Oooo! 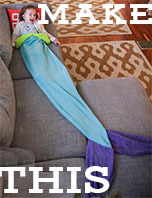 I can't wait to make one. Found you by way of One Pretty Thing. Beautiful! Id love to win this... thanks for the tutorial too!! Very cute! will have to try this sometime!